Maybe you'd call it a guilty pleasure but I have no shame in the fact that I thoroughly enjoy the 'Step Up' films. They remind me how much I enjoy watching amazing dancers strut their stuff. Much like the 'Fast and the Furious' films, the Step Up movies grab a niche and have done a thrilling job showing off the various forms of dance. Today our first look at where the fourth film in the series "Step Up 4" is set and just what we can expect hit the net. Take a look at the announcement for yourself below. Can't help but think of the LMFAO song, "We're in Miami" after watching this trailer. 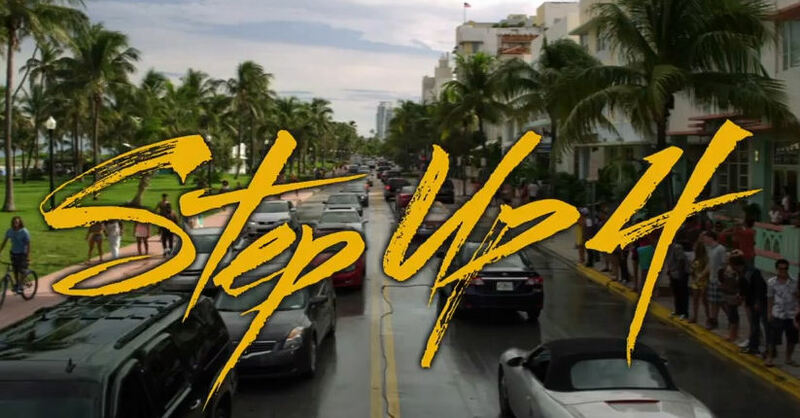 After seeing our fair share of New York, the Step Up films take a trip down to Miami and look to show us a peek into the world of Flash Mob dancing. The romantic arc is to be expected and I'm sure will evoke plenty of eye-rolls and chuckles, but the music, moves, and dancing in this teaser got my blood boiling and excitement building for "Step Up 4" to release this summer on July 27th.